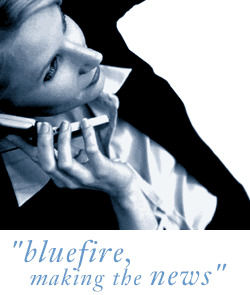 Bluefire Consulting | Regional Sales and operations manager : engineering, manager, hire, rental, regional, operations, BMS, Transport, area, manufacturing, mechanical, workshop, branch, retail, electrical, commercial, technical, site, service, leadership, fitter, logistics, area, repair, plant, powered access. Regional sales/operations manager (Powered access) London £34-£36K + car, fuel card, pension, health, holidays, mobile, laptop. Opportunity This is an excellent opportunity for a manager with sales, operations and multisite experience to join a national leading organisation in a regional manager role. Covering 3 sites spread across Berkshire, Essex and Surrey you will ensure that depot employees are delivering the highest levels of customer service. £34-£36K + car, fuel card, pension, health, holidays, mobile, laptop. This is an excellent opportunity for a manager with sales, operations and multisite experience to join a national leading organisation in a regional manager role. Covering 3 sites located around London you will ensure that depot employees are delivering the highest levels of customer service. You will be responsible for training and developing employees to encourage a sales focused culture, while ensuring day to day operations are delivered. In this role you will have responsibility for the sales and operations performance of four powered access/tool hire sites located in Berkshire, Essex and Surrey. Each depot has a site manager and also a regional engineering manager, your focus will be on the sales and operation activity of the sites. This is a new role and has been created to offer a bridge between the regional sales director and the site mangers. You will be responsible for handling all of the customer complaints and enquires, ensuring employees are always proactively upselling products and services. You will be responsible for two employees in each branch whose responsibility is to take orders for the rental and sale of powered access equipment and then ensure the products and delivered on time. Part of this role will be to ensure that these employees upsell the products while also looking for business development opportunities with customers visiting the stores. The role is a 50/50 split between sales and operations. The role is field based within a defined geography and will require each of the allocated depots to be visited regularly. The role will be responsible for achieving KPI's within the area in relation to sales, operations and utilisation of equipment. #Ensure that customer service standards are maintained to a high standard. #Direct, develop, motivate & support all reports within the area ensuring that the business objectives are met. #Identify, coach and develop colleagues to create a high performing culture, where morale is high and colleagues are motivated. #Drive compliance with hire enquiries ensuring that conversion rates are maximised. #Actively promote products and services within your depots by up selling initiatives driving all revenue opportunities. #Ensure your depots deliver a professional support service to field sales colleagues. #Ensure maximum return on damage charges, fuel and transport recovery taking responsibility for all aspects of the process. #In conjunction with the engineering foreman / hire desk ensure that all machines supplied and on hire have a valid current LOLER certificate. #Ensure procedure manual compliance including audit compliance. #Achieve or exceed area KPIs. #Working within guidelines, achieving targeted results and provision of reports. The ideal candidate for this role will be a high energy manager with previous power accessed experience who has looked after a region containing a number of sites. We are aware though this may be a big ask so candidates who have worked in the hire industry and have experience with multisite management we would be keen to speak with. We are looking for managers who can ensure the highest levels of customer services, raise response times, chase invoices, act as an escalation point for complaints and queries and ensure delivery times SLA's are met. We are looking for candidates who are able to demonstrate how they have managed employees to upsell products and increased business development among the current customer base. You should have a good working knowledge of reading spread sheets and ideally have some exposure to P/L. You will be reporting into the Sales director and will have direct responsibility for the performance of your areas. The regional manager will be with a starting salary of £35-£41K depending on experience and expertise while also qualifying for a discretionary bonus, a company pension, 33 days holiday (including bank holidays) health care benefits, life insurance, mobile phone, laptop. Referral fee, Bluefire offers a referral fee so if you are not interested in this role but know someone else who may be and they are successful in placing we provide a £250 finder's fee. engineering, manager, hire, rental, regional, operations, BMS, Transport, area, manufacturing, mechanical, workshop, branch, retail, electrical, commercial, technical, site, service, leadership, fitter, logistics, area, repair, plant, powered access.